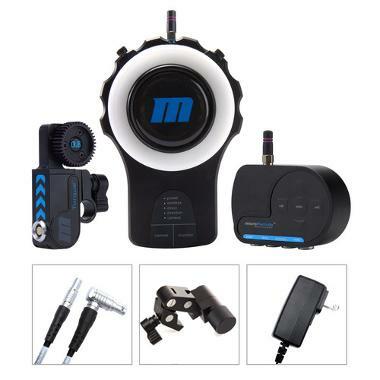 The Redrock Micro microRemote Wireless Bundle includes all the main components you need for controlling lens focus wirelessly and works on nearly all camera/lens combinations. For DSLR lenses with fully spinning focus rings, you can set your own hard stops. 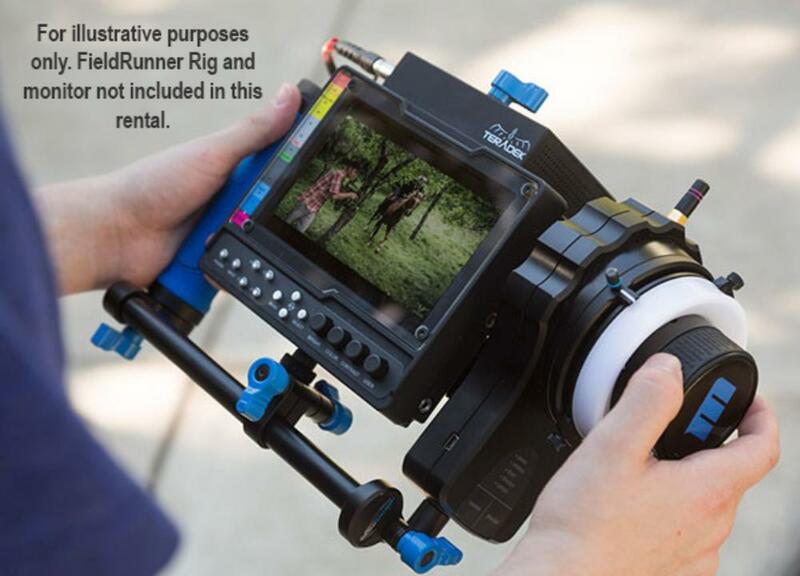 With the included fingerwheel, this bundle can be used with a single-person crew in conjunction with a support rig or tripod and the basestation allows for centralized power. This bundle is particularly handy in shooting situations where manual focus pulling is difficult or just out of reach, such as when using jibs, arms, and cranes. • This kit includes a set of 3 micro-focus rings that fit a variety of lenses. The different sizes are marked as A, B, and C. The rings go directly around the focus ring of your lens. You may want to rent additional sets of these rings to go around all of your lenses ahead of time for quick follow-focus lens swapping. Additional rings can be added to this rental upon checkout for a fee. By default, this kit includes 1 of A (180mm-220mm Lens Circumference), B (211mm-250mm Lens Circumference), and C (241mm-280mm Lens Circumference). • For more information about which rings go with which lenses, see this guide. • This bundle is compatible with virtually any lens with standard 0.8 film pitch gears. • Please review the manual prior to operating. • A battery does not come with this bundle and AC power must be used unless you rental an optional Anton Bauer battery and corresponding plate (not included).